I mainly use two different sketchbooks. I've used the Daler Rowney black hardback sketchbooks for very many years now. I mainly use the A4 size but have also used the A5 and the A6. The latter ended up as a to do list book though! The pale cream bond paper is brilliant at accepting dry media and is great for pen and ink sketches. It wrinkles very badly if you try and use watercolour. The black hardbacks in the basket are all Daler Rowneys. I started using the Moleskine sketchbook (the one with the rowing club sketch) just before Christmas and I am well on the way to filling my first. I've bought for my next trip plus a small one to try that size. The sketchbook one is the one with the purple wrapper. I really like the paper which is especially suitable for dry media and certain inks. 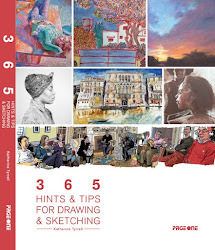 However comments by others suggest it does not suit water based media such as watercolour paints and fountain pen ink (but they have just brought out a watercolour sketchbook one in response to the comments about the poor performance of the purple wrapper sketchbook when used with water). The other reason I like it is it is stitched and will lie completely flat. I also have a large hardback pastel sketchbook (top right - no longer made) which contains Canson paper in different shades with glassine sheets inbetween so that the pastel doesn't rub. 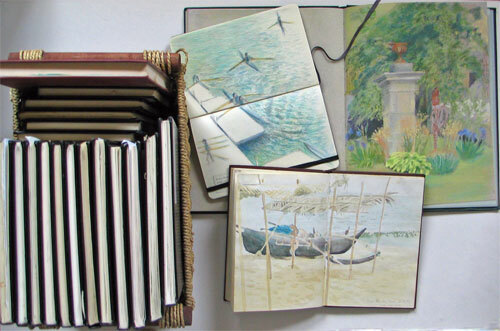 My first sketchbook was an A5 size hardback sketchbook by Conte a Paris (bottom right) which has good quality paper which readily accepts watercolour. I've tried many times to find another one of these with no success. Finally I've bought a wire bound hardback sketchbook by Daler Rowney to try (not in the picture) - but haven't used it much as yet. try to stick to the same brand once I've found one which works for me - more time sketching and less time testing! 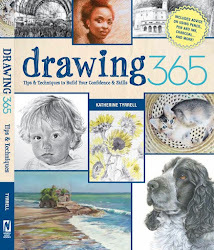 buy sketchbooks with hardbacks - makes resting on the knee (if that's the only option) that much easier and makes them more durable for carriage and storage. 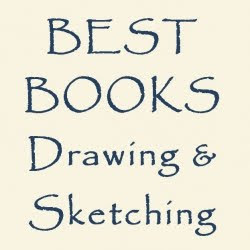 buy decent quality sketchbooks - I keep all mine and want them to last. keep all the pages in my sketchbook intact - even the ones with dreadful sketches! That's me - but we're all different - how about you? 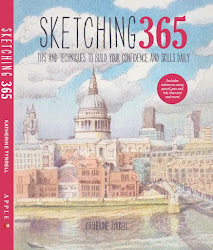 I love sketches books and although drawing badly I love my travel sketches - they are my really photos those that come from eyes and soul.